Nearly six months after Hurricane Maria struck Puerto Rico, museums on the US island are resuming their everyday pace and pushing forward with new initiatives. The Museo de Arte de Ponce on the island’s south coast is “basically back to normal”, the museum’s assistant curator and exhibitions co-ordinator, Helena Gómez de Córdoba, says. 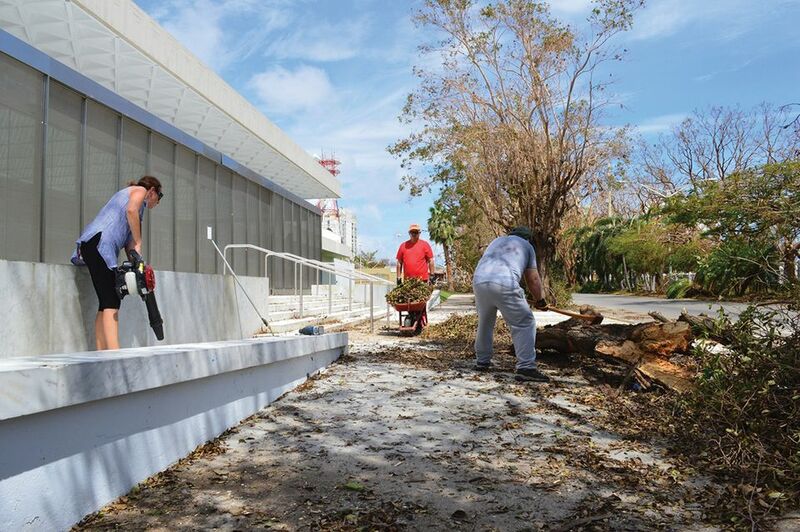 Though some staff—among around 400,000 utility customers on the island—remain without power at home, the museum’s collection was unharmed and the building received only minor damage. It reopened on 28 September, one week after the hurricane. Visitor numbers to the museum actually rose in October, partly because many locals were not working and schools were closed. The museum offered free admission that month, and nearly 300 guided tours and workshops. “It was good to see people just enjoying themselves and learning,” De Córdoba says. Although attendance since then has been slightly down, the museum hopes to draw back visitors—both locals and tourists—with its spring exhibitions. A rescheduled show of works on paper from New York’s Frick Collection opens this month (Small Treasures from the Frick Collection, 17 March-8 August) after a four-month delay. Another exhibition, due to open on 15 April, will present Puerto Rican art from the collection made between 1959, when the museum was founded, and 1965, when it moved into its current building. “It’s suddenly become very poignant,” says the show’s curator, Pablo Pérez d’Ors, since the museum is an “important landmark in the construction of an artistic identity for Puerto Rico”. The Ponce museum has also helped other institutions on the island, such as the museum at the Universidad de Puerto Rico in Cayey, to examine and preserve their collections. Likewise, the Museo de Arte de Puerto Rico (MAPR) in San Juan safeguarded works belonging to other Puerto Rican museums until January. MAPR’s own collection received only minimal damage and staff returned to work immediately after the storm, helping to run the museum as a communications and conservation hub for local cultural institutions. The San Juan museum reopened to the public on 10 November, three days after another disaster: a flash flood, which caused more damage than either Hurricane Maria or Hurricane Irma, including the destruction of the education department’s facilities and materials. Since the reopening, MAPR has been “very active” and “people have been very responsive”, says the museum’s director, Marta Mabel Pérez. A show of works by six Puerto Rican artists opened last month (until 13 May), while four young local collectors are lending works to an exhibition opening in May. The museum has also teamed up with the online auctioneer Paddle8 to present a benefit sale of 91 works, some donated by Puerto Rican artists, to be held on 14 March. The island’s museums are also thinking ahead for future emergencies. In October, MAPR co-founded the Coalition for the Heritage of Puerto Rico. The three-year pilot project aims to release a guide in May, to advise cultural institutions on preparing for and responding to disasters. The coalition is working with Brinnen Carter, a chief of resources at the US National Park Service, to draw up a budget that will include new safety deposit spaces for museum objects. The San Juan museum also received a $110,000 grant from the Smithsonian Institution in Washington, DC, of which it is an affiliate organisation, to meet conservation costs after the hurricane. The museum is, however, around $3m in debt due to the loss of revenue, structural damage and the cost of restoring works. This month, the Smithsonian Cultural Rescue Initiative (SCRI), set up after the Haiti earthquake in 2010, is co-organising two disaster conservation workshops at the museum. The first event, aimed at museum professionals, will cover issues such documenting collections and evacuating, assessing and preserving objects. Another workshop, on 24 March, will teach members of the public and artists how to conserve works in their homes or studios.